Welcome to the Keaton! Quality built east facing townhome with a privately fenced yard, backing onto the serene Greenbelt. 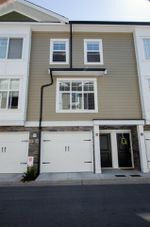 This 3 bedroom 2.5 bathroom unit is in immaculate condition and features a bright open floor plan with 9 foot ceilings, oversized windows and a powder room on the main floor. 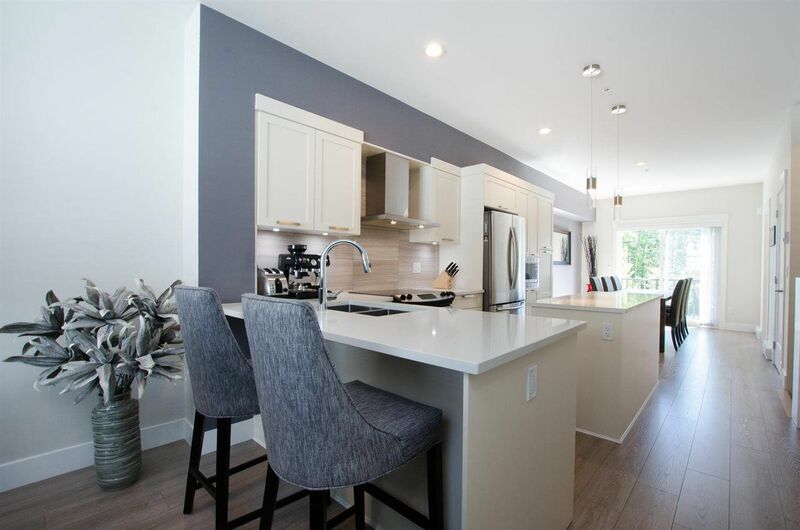 Finishings include wide plank laminate throughout living areas, gourmet kitchen with white shaker cabinets, quartz countertops, pantry, full sized island & stainless steel appliances and custom built entertainment unit in living room. Three large bedrooms upstairs, including private master, facing the greenspace, with walk thru closet and luxurious ensuite. Perfectly located within walking distance to shops, school and transit, in one of Langley’s most desirable neighbourhoods!